Fifty to 100 people walk into the doors of Totem Books daily. Most of the thousands of bookstore visitors who have entered the cultural oasis since it opened three years ago in November have returned, says manager Tyler Bailey. “Inventory-wise we stock and store everything from Flint authors to fairy tales, to Faulkner,” Bailey says. Beyond being a book store, the location is known as a welcoming, entertaining café. 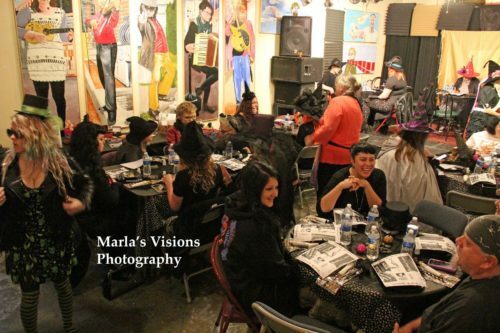 Tea Talks are part of a monthly discussion group to talk about issues in the witch and pagan community. From 6 p.m. to 8 p.m. April 18, the group talks about “magical protection,: grounding and shielding in their third tea talk at Totem Books. 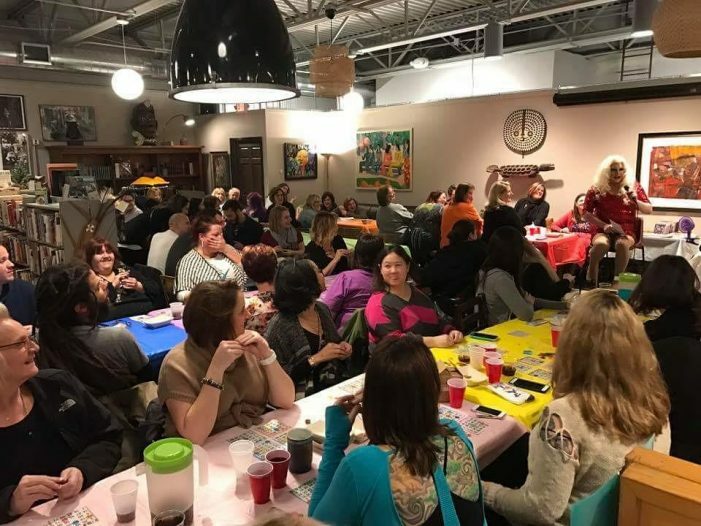 At 8 p.m. April 20, book store patrons can be entertained by Drag Queen Bingo. 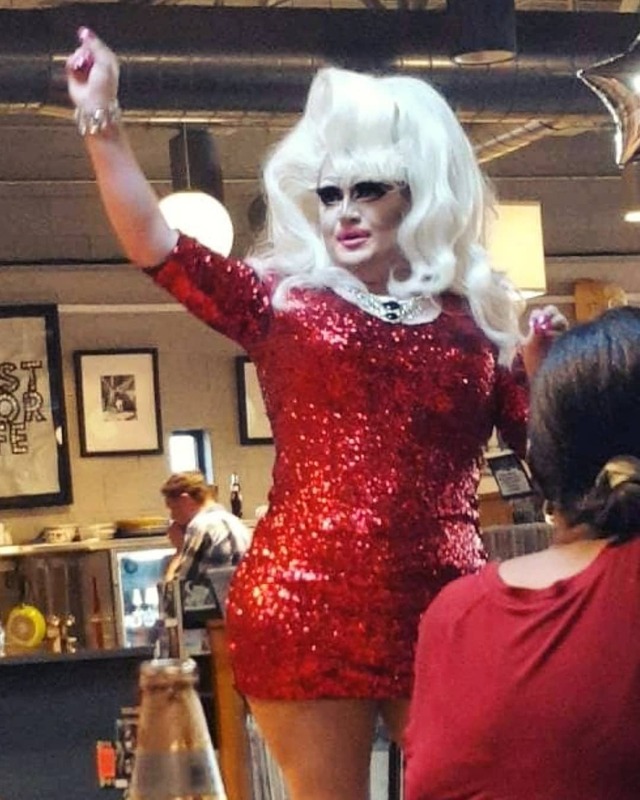 In March, the drag queens event brought 100 people to the bookstore. Three door prizes and Bingo prizes are given away at each Drag Queen Bingo event. “I do a game at the beginning to see who my audience is,” said Joseph “Cord” McCoy, who also goes by the name “Madeline Sharp,” Totem’s resident queen. The show is for ages 18 and over. Perry Dox, another local drag queen, will also be featured. At 8 p.m. April 26, guests can laugh themselves to tears during a live comedy show, featuring Kyle Forsyth with headliner Tom E. Thompson. 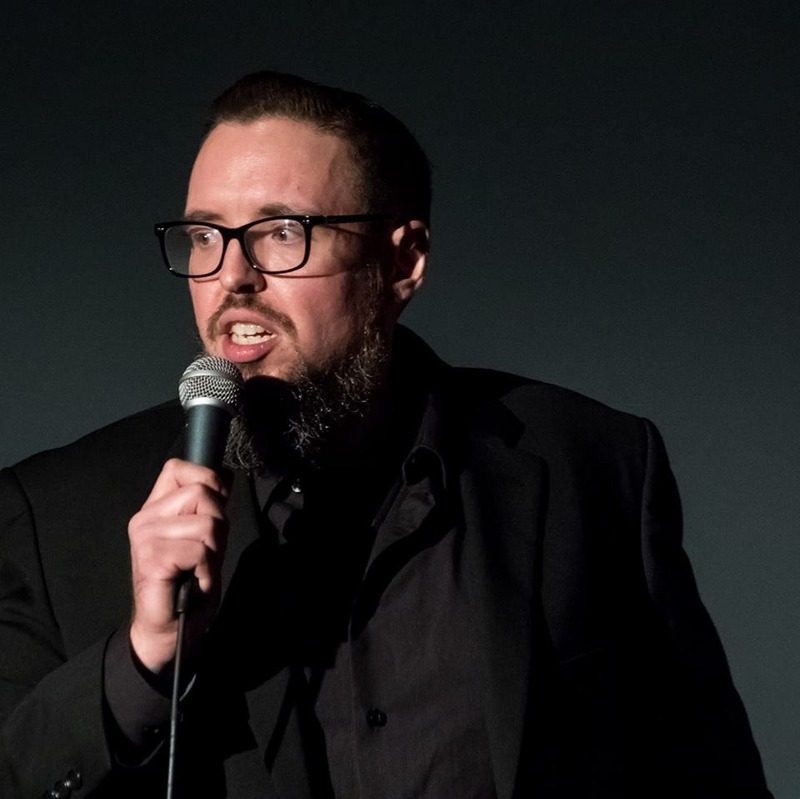 Forsyth is co-founder of the Motor City Comedy Festival in Detroit, a stand-up-centered nonprofit with the primary performance being a weekend of comedy shows that showcase the strength of comedic timing. “People can expect a high-energy, fun show,” says Thompson, who has headlined at the Holly Hotel Comedy Club. “I like to make a connection with the audience through honest recollections of my life experiences. I like to break the fourth wall and try to make the show a unique experience for everyone involved. I am looking forward to performing at Totem Books because it’s such a cool place. Frank Preketes has been visiting Totem about once a week since the bookstore opened three years ago. Preketes says the staff does a good job organizing the Drag Queen Bingo and the comedy nights, both of which he has attended. He likes the ambiance and the eclectic menu at Totem. He also likes the fact the art in Totem is multicultural. Steve Hartman has been visiting Totem about twice a week for one to two years. He likes the murals and the fact that the staff features works of art from local artists on its back wall during the Greater Flint Arts Council’s second Friday monthly area art walk. “There’s no place like Totem Books,” he says.